Alan Hayashi is currently BAE Systems Support Solutions Director of Public Relations and Policy Advocacy in Hawaii. He had been with BAE Systems Spectral Solutions (formerly STI, a Hawaii based optical imaging systems company acquired by BAE Systems) for over ten years as Director of Government Relations and Community Relations. 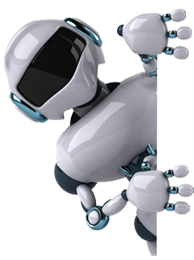 BAE Systems is the premier international defense and aerospace company, delivering a full range of products and services for air, land and naval forces, as well as advanced electronics, information technology solutions and customer support services. BAE Systems, with more than 105,000 employees worldwide, had 2008 sales that exceeded $34 billion. In Hawaii, BAE Systems has over 1,000 employees serving various branches of the military and the Department of Defense on all of the islands. Prior to joining BAE Systems, Alan Hayashi was the executive director of the State of Hawaii’s Convention Center Authority for eleven years, and oversaw the location, development, and construction of the $350M Hawaii Convention Center. Prior to the Convention Center Authority, he worked as a management consultant overseeing development of several major projects, including the $250M resource recovery facility (HPOWER) for the City & County of Honolulu. 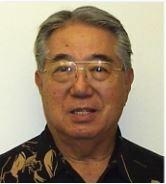 Mr. Hayashi earned a Bachelor of Science Engineering degree from Stanford University, and a Masters of Business Administration degree from the University of Hawaii, Manoa. Alan Hayashi currently serves, or has served on the boards of directors of the Gateway Peninsula AOAO Board, Hawaii Strategic Development Corporation; Military Affairs Council (MAC) of the Chamber of Commerce of Hawaii; Friends of Hawaii Robotics; Army Hawaii Housing Foundation; United Service Organization Hawaii (USO), , Stanford Alumni Association, Georgetown Alumni Club, and the University of Hawaii, Manoa, Shidler College of Business Alumni. He is also a member of the Rotary Club of Metropolitan Honolulu, Friends of Hickam, Navy League, Hawaii Society of Business Professionals, and formerly of Soroptimist International of Waikiki.